High Quality Content by WIKIPEDIA articles! 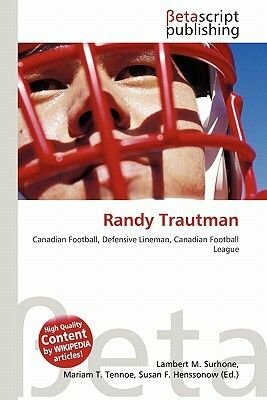 Randy Trautman (born May 27, 1960 in Caldwell, Idaho) is a former Canadian football defensive lineman in the Canadian Football League for the Calgary Stampeders. He played college football for Boise State University, where he was a two-time All-American. In 1999 he was inducted into the College Football Hall of Fame. Canadian football is a form of gridiron football played almost exclusively in Canada in which two teams of twelve players each compete for territorial control of a field of play 110 yards (101 m) long and 65 yards (59 m) wide attempting to advance a pointed prolate spheroid ball into the opposing team's scoring area (end zone). In Canada, the term football usually refers to Canadian football and American football collectively, or either sport specifically, depending on the context.